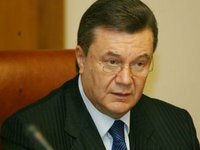 Ukraine and Russia should learn lessons and not to admit the mistakes obstructing trade and bilateral cooperation, President of Ukraine Viktor Yanukovych said. "We'll have to learn lessons for the future and not to repeat such mistakes," he said following the 6th session of the Russian-Ukrainian interstate commission in Moscow on Tuesday. "I won't say our negotiations were easy, because we had a lot of issues on which we had to work. We jointly summed up the outcomes of the shortcomings that were present in our work in the past. As a result, we've had a decline in our trade turnover, and a number of projects have been slowed down, if not frozen," Yanukovych said. "The conversation we had today was absolutely constructive and substantive. And we drew some conclusions in a broad format and emphasized that we would always have to attach priority to the practical component of our work, the deepening of our trade and economic cooperation and implementation of joint projects in all areas of mutual interest," he said.